With the changing of seasons comes cooler weather, beautiful foliage and everything pumpkin spice! But with the anticipation of all the wonderful things about the fall season have you considered how to make your home ready for the seasonal changes? Even though we live in Florida and don’t experience some of the drastic temperature changes that other parts of the country do, you can still make sure your house is ready for the new season. With so many leaves falling on your roof the gutters can get clogged easily. With too many leaves and water collecting in your gutters, they can begin sagging and possibly break. Gutters are a great tool in maintaining the integrity of your foundation and preventing water intrusion into your home. Be sure to clean out your gutters regularly as the leaves begin to fall. Your goal is to keep limbs and branches at least three feet from your house so moisture won’t drip onto roofing and siding, and to prevent damage to your house exterior during high winds. Also, pruning your bushes in the fall will keep them looking good throughout the fall/winter season now that the spring/summer growth season is over. If you don’t have one already it is smart to get a thermostat you can program based on the time of day. With the weather being cool you can save a lot of money on your electric bill by making sure not to use the AC when it is not needed. There are a ton of options out there to shop for so find the best one for you. Applying fall lawn fertilizer will help prevent winter damage and spring weeds. Ask a local garden center or check online to find out which type of fertilizer you need and when to apply it. If you have a lawn service, they should be able to do this for you. Last but not least get in the fall spirit with holiday and festive decorations. There are so many fun and interesting ways to celebrate the fall season from Oktoberfest to Halloween and Thanksgiving. Nothing gives a better feeling than walking up to your home and feeling proud of how it looks! So take the time to give your home some fall spice! 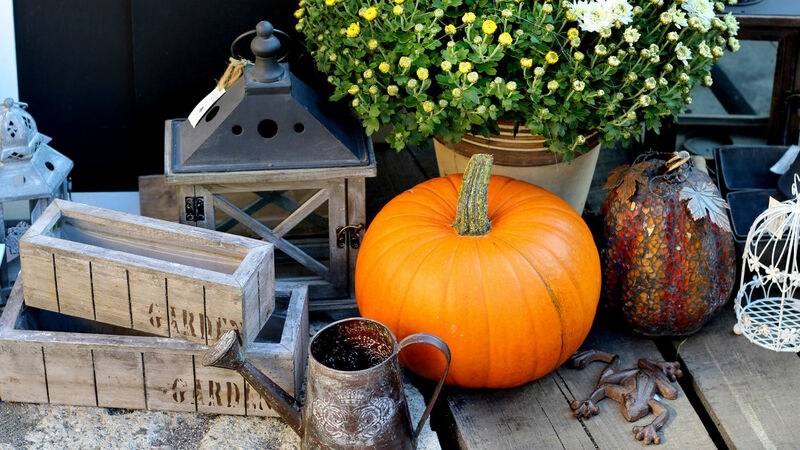 Enjoy the fall season and be ready for fun by taking care of these items early!